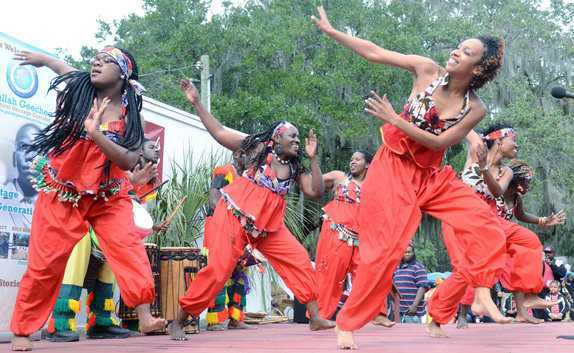 Heritage Days Celebration is a three-day cultural event celebrating the Gullah/Geechee/Sea Island history, folk arts, food, music, crafts and West African cultural legacy. Located at Penn Center—formerly the Penn School, one of the first schools for formerly enslaved Africans and their descendants living on St. Helena Island—visitors can experience the unique setting of the 50-acre historic campus of Penn Center. Youth & Family Day with lots of educational "fun fuh de chillun and famlee" (fun for the children and family). Penn Center is excited to announce that there are no gate admission fees for 2018. Please bring your outdoor folding bag chairs for comfort. Parking fee on Penn Center’s campus (East and West). Handicapped parking will be available. For 2018 sponsorship opportunities, please contact us at at (843) 838-8578 or send an email to heritagefestival@penncenter.com To expedite processing, please include "2018 Heritage Days" in the subject line of your email. Site designed & developed by students at the University of South Carolina Beaufort under the supervision of Dr. Brian Canada. © 2015-16 Penn Center, Inc.